Ariat® Challenge Contour Square Toe Field Boot - Clearance! 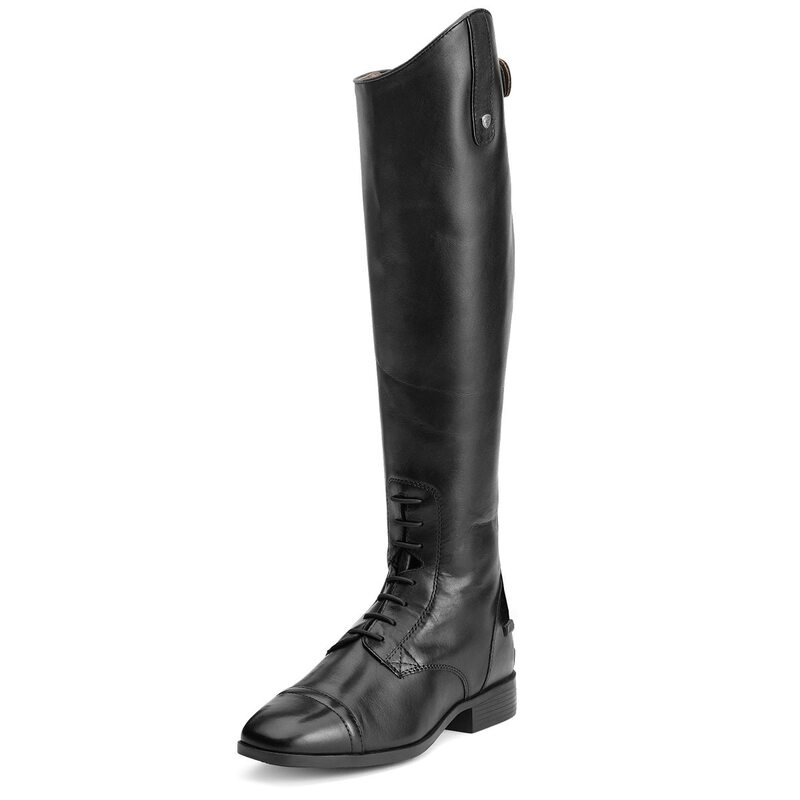 Look your best in the Ariat Challenge Contour Square Toe Field Boot! This boot is constructed of premium European calf leather with a hung leather lining. Features a trendy square toe with a plain toe cap. Ariat® Challenge Contour Square Toe Field Boot - Clearance! is rated 5.0 out of 5 by 10. 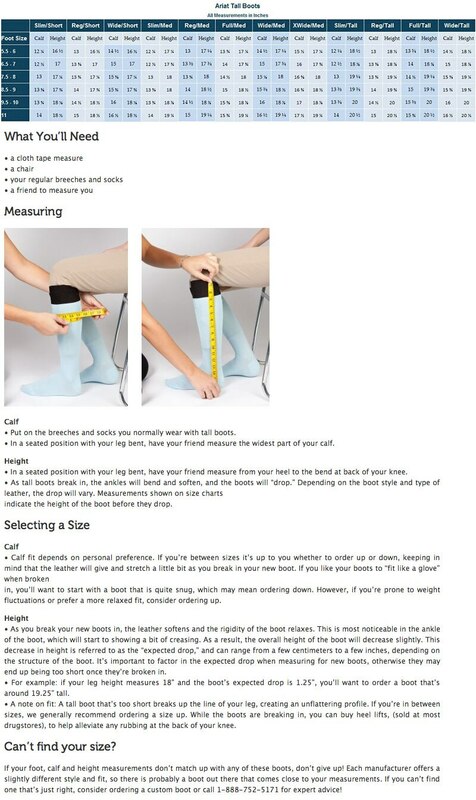 Rated 5 out of 5 by Ellie Doyle from Comfort and Function I love these my Cognac Tall Field Boots already . Super comfortable and I ride tall knowing my turn out is impeccable for informal Fox Hunting with Red Rock Hounds. Rated 5 out of 5 by sathompson from I love these boots! The fit is perfect and the color is great for fall! Rated 5 out of 5 by MeganAJ from Affordable and high quality I have these boots in brown and black. Easy to break in, comfortable and hold up well. Rated 5 out of 5 by abbs414 from Beautiful and sturdy I bought these after my Tredsteps fell apart. Beautiful boots, I got so many compliments. They fit just how the sizing chart said and I can't wait to compete on my equestrian team in them this upcoming season! Rated 5 out of 5 by mamie from What I need for cubbing season I've had these several weeks now, and like them a lot. 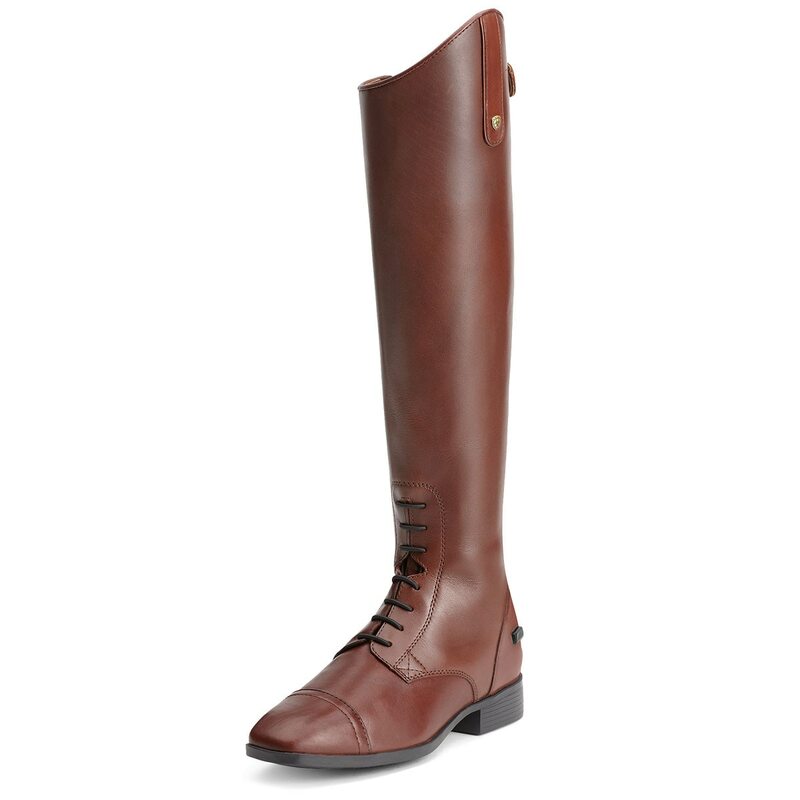 It was nearly impossible to find brown field boots, and I wasn't a giant fan of the other Ariat offering in this vein. These are snappy design, comfortable, come in a lot of sizes (which I need, being an unusual combination) and took no time to break in. The leather is getting nice and rich with wearing and cleaning. I bought Ariat's higher-end insoles to replace the standard and am happy with that choice too. Rated 5 out of 5 by Layla from Nice boots. My daughter is wearing them. I ordered short for her by still leave a mark on the back of her legs from being too tall. Rated 5 out of 5 by mama2tom from Beautiful, comfortable boot! Drawn to this boot for it's beautiful, rich color. Love the boot for it's fantastic fit and all day comfort! Rated 5 out of 5 by NancyK from All Day Comfort, Style Did not take long to break in, was able to ride in them quickly. Footbed is very cushiony! The color is beautiful, takes on a burnished tone with wear & conditioning. I always get remarks on these boots. Bought them for schooling so they have to be comfy and durable. Really elegant with navy breeches. Rated 5 out of 5 by Ashley1 from Who doesn't love a gorgeous brown boot? Another Ariat boot that fits like a glove, the foot bed is fantastic as always, stretch panel really helps with the fit and keeping the boot snug, heavy duty zipper, etc. The square toe is a nice feature, very classy. The color is beautiful, has only gotten better after some good clueing sessions. Great option for someone who wanted a brown boot but did not want to go custom.